I love you toolbox! I am so happy that I stumbled across your blog through the linky party! Welcome Bloggy Newbie! I am your newest follower.. I would love for you to hop on over to my blog and follow me! Very cute stuff! I was at school today setting up and I think I NEED to make those seat crates FOR SURE! 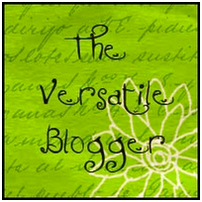 :) I found you through the New Blog Hop- I look forward to following you! Come visit soon! I'm so jealous of your crates! How did you make them? I keep thinking about it, but the only crates I've found are Target ones and they are slightly rectangular. Is that the kind you used? If you find time, I'd love you to check out my blog! Hi Lesa:) I really enjoyed hoppin' around your blog. 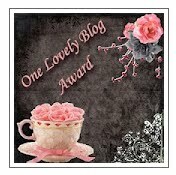 I just nominated you for the "One Lovely Blog" award so come on by to pick it up. I am trying to become one of your newest followers but Google is doing something weird tonight, it won't let me join anyone's blog! I promise I will come back by and join up with you. I look forward to following you! I love that stool! So stinking cute! Thanks guys...I appreciate all of the comments. I am going to hop on over to your blogs and check them out. love the toolbox!! and you trifold is from a cupcake for the teacher right? looks good! Clip art designs &/or fonts copyright Dianne J Hook. I have been teaching for 29 years. I have taught first and second grades. For the past 21 years I have made my home in second grade. I am a Christian and have a wonderful husband, 5 great children and 3 IN LAWS, and 3 perfect grand babies. 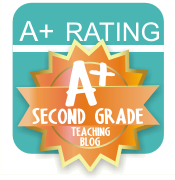 Many of my ideas originated from other teacher's blogs. I have tweaked them a little to make them fit with my lessons.